A company retreat can seem like a pre-paid vacation to some and yet another work obligation to others. Companies today are recognising more and more that company retreats are highly valuable for the morale and overall productivity of their employees. At the same time, companies that have never run a retreat before may not be entirely sure where to start. As with any other aspect of running a business, careful planning and an eye to the details are going to be what makes or breaks your company’s retreat. Depending upon the work culture and overall makeup of your business, a great location and plan for one group may spell disaster for another. So how do you plan for a retreat that pays for itself in productivity and morale? Moreover, what can companies do to ensure they strike a proper balance between work and play? Here, Cedar Lake Estates have put together our top five critical elements of a successful company retreat that will make sure that your employees can maximize their personal and professional potential at your next outing. The location of your company retreat is one of the most crucial elements of the entire journey. What’s crucial about your choice in location is that you pick somewhat that’s going to challenge your employees to adapt—as well as foster and facilitate growth. That often comes from finding a location that offers both comfortable accommodations as well as a unique climate that differs from what you may be used to at the home office. For example, when it comes to corporate retreats in London, your idea of a picnic in Hyde Park would be much better served if your company was located across the country rather than across the street. Take the time to subvert the expectations of your employees and really put them out there in a location that challenges them to see things differently. Have a home office in the big city? Try taking your company to a remote location or show them vast, open plains and a larger sense of scope. Already work in the woods? A trip to the hustle and bustle of the big city could work to your advantage. Just be sure that no matter where you take your employees, they’ll be sure not to forget it. Of course, at your company retreat, you’ll probably want to spend a good amount of time talking about company needs, current development, and future goals. But before you start heading into quarterly reports and time tables, make sure that the time work is discussed at your retreat is sanctioned and regulated. We’re confident that your employees will likely mention or discuss work all throughout the retreat and in different capacities. However, you want those conversations to happen naturally—not force constant talks during games and activities. Sanctioned work discussions mean that all employees know the time and location that work will be discussed. They’ll be refreshed from their more leisurely activities and have work on their mind—which will allow you to maximise productivity. 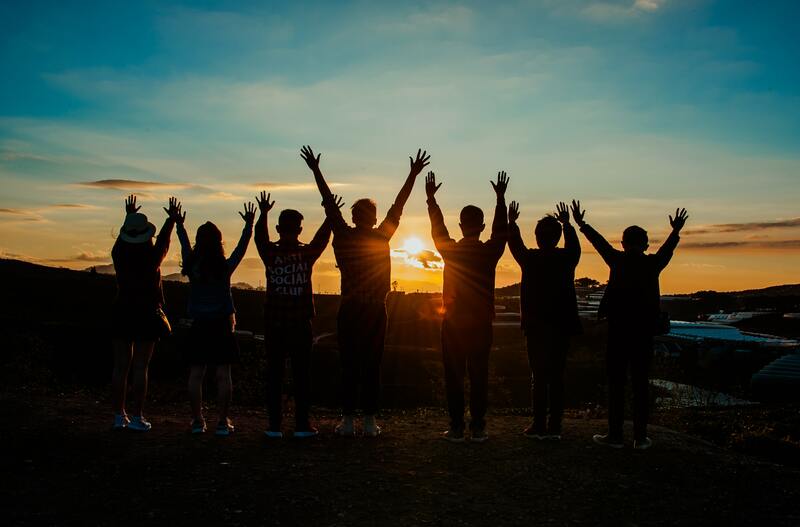 More so than any other event coordinated by your company, retreats need to be tailor-made to help cultivate relationships that help the company thrive and last long after employees leave for their final days. But before you fill your schedule with all sorts of mixers and socials, remember that cultivating relationships cannot happen on a set schedule. Therefore, try to build your events in a way to where relationships can thrive, instead of building events specifically designed to be relationship builders. One of the easiest ways to do this is to plan events and activities that foster communication and promote working together. Anything from team sporting events to escape rooms and anything else in between can be helpful, if not critical, to the success of your company retreat. Remember that these relationships have to be on some sort of personal level just as much as they need to be beneficial to the company. Don’t feel the need to crack down if people make a few jokes at the expense of the company, or making light of some stressful situations. Everyone needs to blow off a little steam now and again—so focus on making sure that happens. Of course, no company retreat is complete without free time. You may initially feel the need to plug your schedule with events from sun up to sun down but remember—like with work—your employees need time off. Giving them blocks of time in the evenings or afternoons to explore the retreat grounds or head into town is going to be vital for ensuring they get the most out of their retreat. You want your retreat to feel like an escape rather than a 24/7 workday. And likewise, if you’ve been organising this retreat either alone or with a small group, remember that you’ll need rest time just as much as your employees. Having planned R&R on the books will also help your employees better focus in on the sessions where you need them focused the most. The more time they can take to relax, the more willing they will be to work with you during debriefs and company discussions. Finally, try not to focus too much on talking about the results of the retreat during the retreat. All too often, companies will try to organise a session devoted to discussing action steps and plans. What is often more beneficial is giving time to reflect and to dwell. We think it’s critical that you give at least a day or two off of work for any employee possible after the retreat. Give your employees time to enjoy their families and relax a bit; because no matter how fun a company retreat is, in some capacity, it may still feel like work. Afterwards, feel free to talk to your employees about moving forward on the first day back to work. If you’ve coordinated your retreat correctly, you should be happy to see that your efforts did not go to waste—and a more unified, stronger workforce has come of it. More on HR and staff management and perks for your small business employees.